Now that ‘Trick or Treat’ season is over… I have a the perfect treat for YOU (unless you are really in the mood to treat someone else… but don’t YOU deserve it?!) How do you fancy a little gift every day for twenty-five days with zero calories in sight? A 2018 advent beauty box, that’s how! 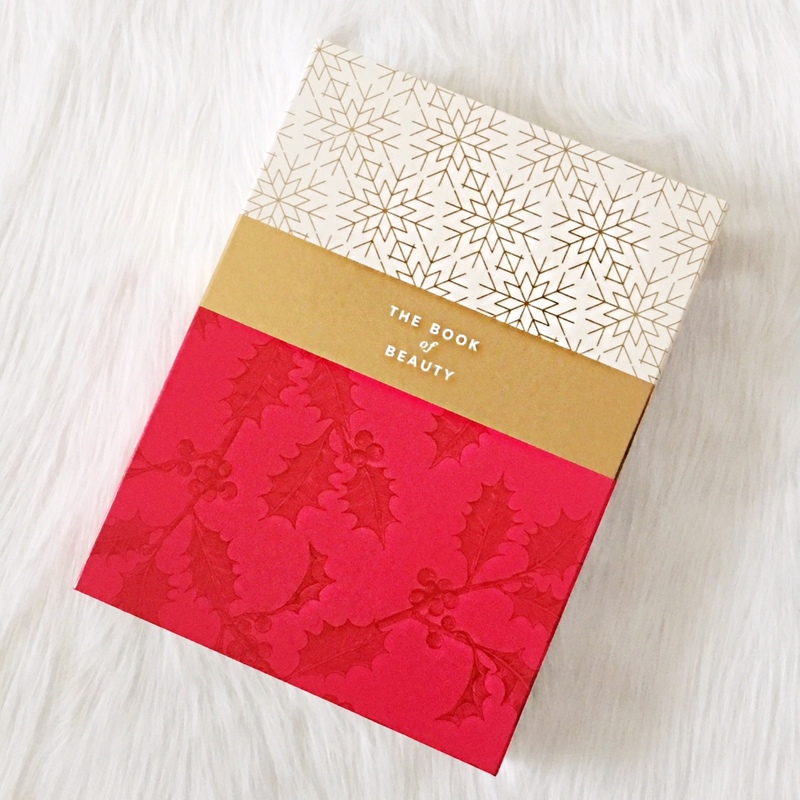 Today I treated myself to the M&S The Book of Beauty – I had to spend £35 to get this £280 box for £35! What a saving! 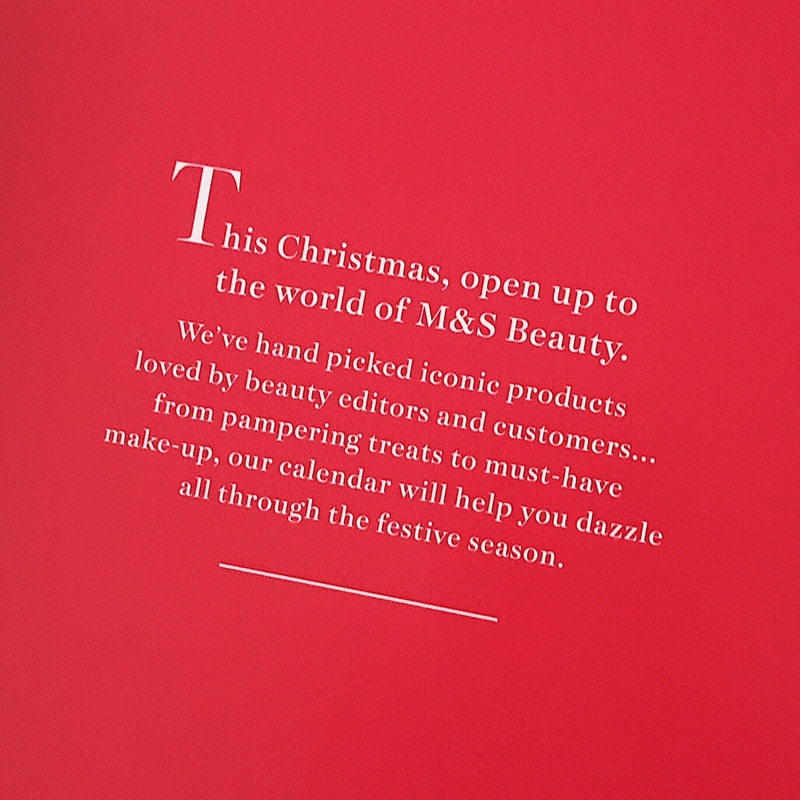 So last week when I went shopping for Holly’s MUST HAVES I did select the brown printed midi shirt dress, however M&S kindly reserved it for me at their Collections Department after I enquired about their 2018 beauty advent calendar because it wasn’t due to launch until 1st November. Today I headed back to Westfield Shephard’s Bush not only get my dress, but to get this little beauty that I know I will enjoy during December. I think this has really put me in the mood for Christmas… and I should look, smell and feel amazing come 25th December when everyone descends upon my home for Christmas dinner and games (yep eight people and counting!). The good thing about selecting a 2018 Beauty Advent Calendar that comes from multiple brands, it gives you a chance to try something new. However, if you are an uber fan on only one skincare or beauty range, then this is truly a fantastic time to purchase as you’ll get the best value for money. Here are five more to consider…. 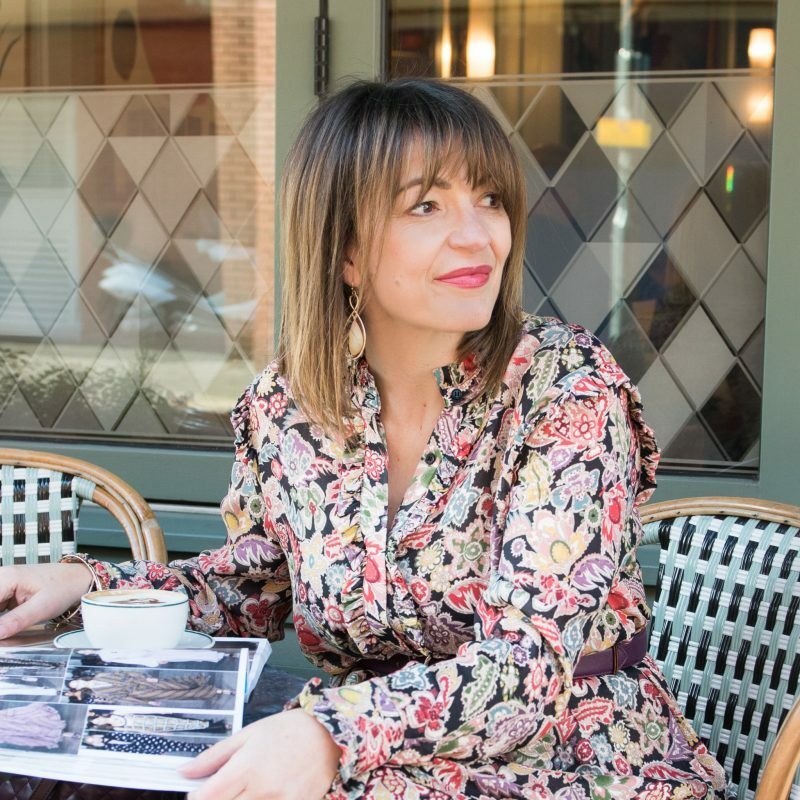 but one thing is for sure, every brand will only have produced a limited run, so if you want one, you need to purchase quickly as this kind of gift product has become extremely popular over the last few years – once it’s gone, it will be gone! John Lewis & Partners make THE BEST Christmas ads, and so I can only imagine this beauty box to be absolutely amazing! The price-point is a little premium compared to the one I bought, but this one contains a mix of full and trail size products and includes some extremely gorgeous brands of Lancôme, Elemis, Clarins none other than a favourite brand of mine Fresh. Now this next one that you can purchase at Boots, is the Sleek MakeUp Can’t Wait Another Day Advent Calendar – and it’s only £35. 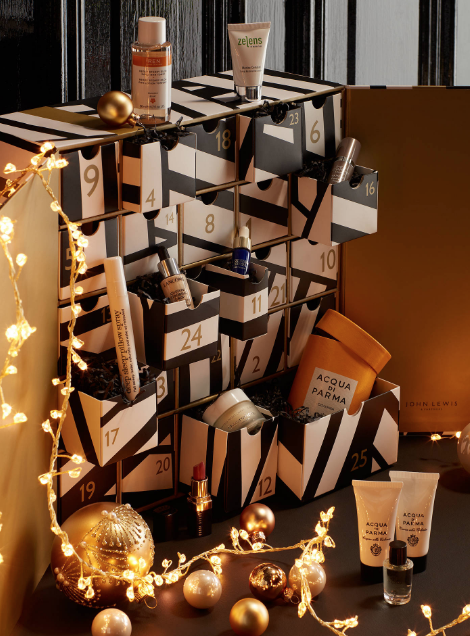 Sheerluxe beauty team rated it as one of the best value for money advent calendars, and a great way to refresh your makeup. And whilst I’m talking Boots, if you want to recap on my Christmas Gifting with Boots post I wrote about early October, simply click here. 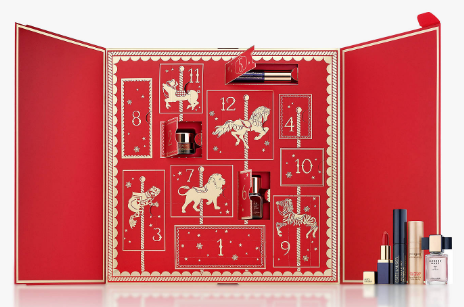 Exclusive to John Lewis & Partners, Estée Lauder are doing a holiday set for 12 days. This says to me that you are probably getting larger sizes or a considered selection of products rather than a kind of luck dip! It features their newest innovation—Advanced Night Repair Eye Supercharged Complex plus a mix of skincare, makeup and fragrance favourites in deluxe travel sizes. 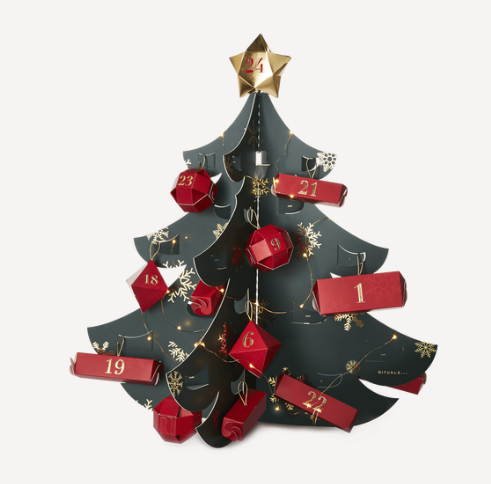 The luxury brand Rituals is offering The Ritual of Advent deluxe calendar, which is one of two that they have produced for 2018, and what I love about this, it’s a mini Christmas tree! How fabulous is this, you can put it centre place in your home and it serves a dual purpose of Christmas decor along with gifting daily over 25 days! And I had to finish this post with one of my favourite London stores who has a heritage second to none! Liberty London. 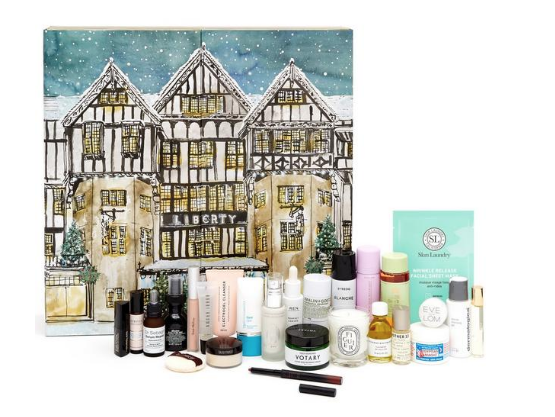 Their £195 Beauty Advent Calendar 2018 has product worth over £600! Now that’s a treat! 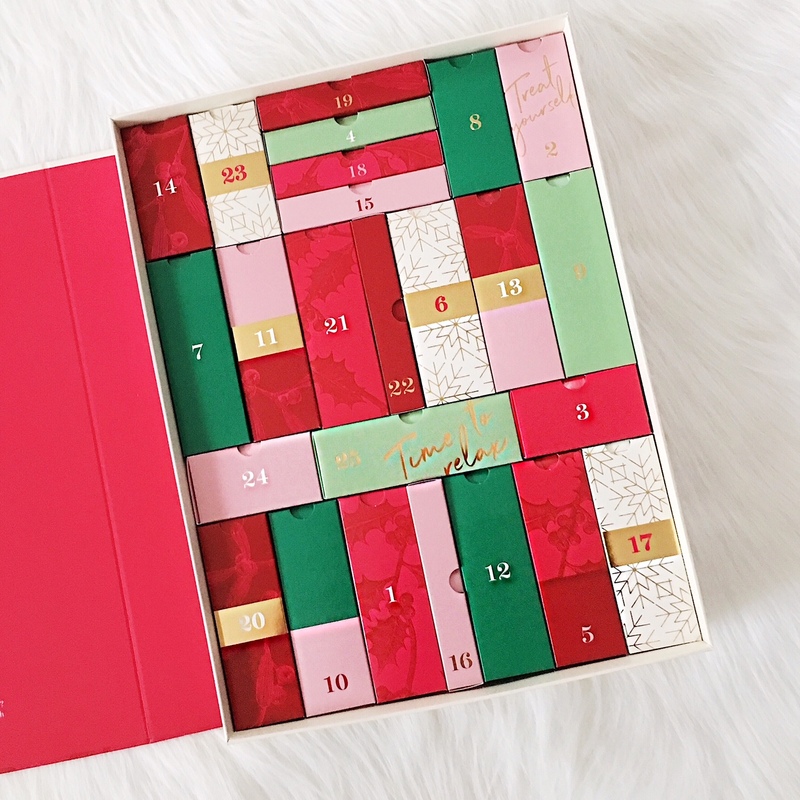 The post 2018 BEAUTY ADVENT CALENDARS – ‘TIS THE SEASON was on Loved by Lizzi first.